Missions | Victory - Honor God. Make Disciples. Eduardo is a doctor who recently opened his own clinic and finished his subspecialty training. After investing half of his life in training for his profession, he had been looking forward to formally starting his practice this year—but God seemed to have other plans. I grew up in a Christian family. I used to tell myself before that there was no need for me to be highly involved in the ministry because I already know Christ. But, God had His ways; I was eventually connected to a Victory group in 2011 and started growing more in my walk with Him. In 2015, I heard the pastor tell the congregation to pray for a nation. When I did, God had impressed in my heart a creative access nation in Asia. I didn’t understand and tried not to think much about it, but that prayer stayed in my heart. I am an otorhinolaryngologist or an ENT specialist by profession. During years of toil and hardship, God would always carry me through and assure me that it was Him who brought me to where I am now. 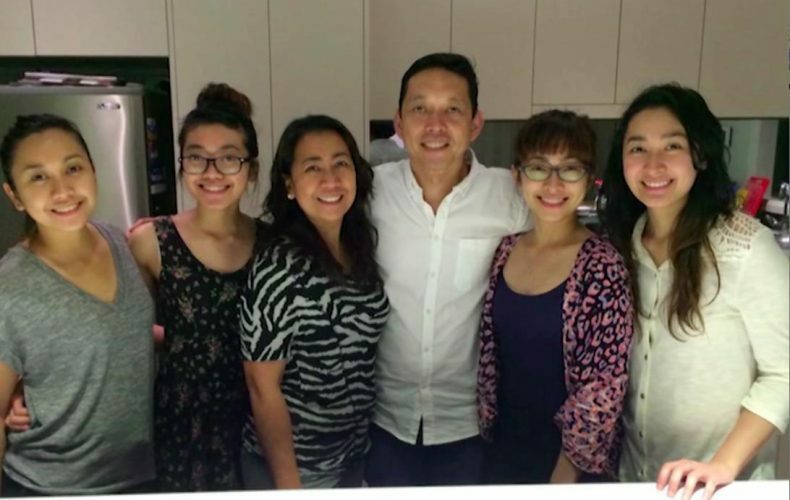 Last year, I finished my subspecialty training in plastic surgery and opened my own clinic. I was ready to reap the time and money I invested in my craft, when God, unexpectedly, started calling me to do something beyond my profession. During one of our prayer and fasting meetings in Victory Malate this year, God placed in my heart a desire to go to the nations, particularly in a country that is deemed to be dangerous by many. But like what happened in 2015, I kept brushing aside the idea of being a missionary. I kept telling myself that maybe, God was just calling me to pray for the nations. I kept ignoring the desire He had placed in my heart. Until one day, I talked to one of the leaders in our ministry and opened up about it. I was told that going to the mission field is a process and I should not hastily decide on it. We prayed and after that, God revealed something to me. While I was mulling over everything, God showed me the real condition of my heart—the real reason I didn’t want to obey His call. Unknowingly, the blessings He gave me became my priority. I was looking forward to my career and how it would impact my life and identity because I knew a lot of people were expecting big things from me this year. I didn’t want to disappoint them, so I put more weight on the provision than the Provider. I placed my security on what I could achieve. On the last day of our prayer and fasting week this year, God assured me that He who began a good work in me will bring it to completion. He gave me peace as I focused on Him and waited for His plans to unfold. I realized that what I should really focus on is how I could serve God with all my heart—whether through my profession or through a “different mission” elsewhere. Currently, I am helping a friend know God more through ONE 2 ONE, and doing it gives me a different kind of joy and fulfillment. Helping people through my profession gives me a similar feeling, but it’s different in many ways. It’s one thing to save someone from a physical death; it’s another thing to help someone be saved from an impending spiritual death. God truly changed my heart. While I am waiting for God to send me to where He wants me to be, I resolve to continue honoring Him through what I do as a doctor and as a disciple willing to make more disciples. I am ready to obey and give up all that I have to follow Him; I will always choose His plans over mine. God’s plans for us are always bigger and better than what we have for ourselves. Allow Him to replace our plans with His. It is hard most of the time, but following His will is always worth it in the end. God is mindful of our needs. This can be seen in the life of Jeff Cariaso, a Victory group leader from Victory Malate. In 2016, Jeff began to save money to buy a car for himself and his parents; he had a desire to drive for his parents so that they wouldn’t have a hard time commuting to places. He also wanted to be more productive at work and be a greater blessing to his friends in church, serving them through driving. That same year, Jeff had an opportunity to go on a Ten Days mission trip. As he was raising funds, he felt compelled to give half of the money he’d raised for the car to their mission trip. It was not easy, but he gave it anyway, went on with the mission trip, and continued to save money. By 2017, he had enough money for the down payment of the car he wanted. He even took driving lessons to prepare for it. However, he was faced with a greater opportunity. Jeff was invited to serve as the team leader for another Ten Days mission trip scheduled to leave in a few months. He had a substantially shorter time to raise support for the mission trip compared to his previous one. Weeks before the deadline of the trip, he had only raised 15% of the amount he needed. It was at this time that God called him to give all the money he was saving for the car. It was all he had left, but he gave it in faith anyway as he was reminded by God’s promise of an inheritance in Joshua 1:2. It was at this point where God said to him, “Just believe. I will take care of the need you are praying for. I just want you to go.” And so, he did exactly as God commanded him and gave. Jeff knew he had no money left to buy the car, but that’s when God took action. A few weeks before he left for the mission trip to Japan, Jeff received a shocking phone call from one of his brothers. His brother wanted to buy a car for Jeff and his family. He even asked Jeff to look for a vehicle that was way bigger than what Jeff intended to buy! At present, Jeff drives for his family and serves the people in Malate through the new car that was generously given to him. He is also praying for another opportunity to go to the nations. He knows that financial challenges will come his way, but he is sure that God will provide because of the demonstration of His provision in his life. Jeff was able to obey God’s call to go to the nations and experience His provision in a personal way. But even before going, he already had an encounter with the mindfulness and generosity of God through his obedience in giving. Reaching the nations is a response to the Great Commission given by Jesus in Matthew 28:19,20. We are called to make disciples of all nations. This is the reason why we value world missions as a church. We believe that each disciple is called to obey the Great Commission in different ways. Everyone is called to pray for the nations. Others are called to give to our missionaries and mission trips. And then, there are those who are called to go. One of our Victory group leaders was called by God to pray, give, and go to the nations. Gretchen Sacang was a college student in the University of the Philippines in Los Baños when she encountered some long-term missionaries of our churches in the Middle East. Hearing their stories stirred in her a desire to participate in world missions. She began praying for the nations in the Middle East ever since, hoping that she will go there one day as well. When Gretchen started working and attending our church in U-Belt, she continued to ask God for an opportunity to go to the nations. As an act of faith, she gave to several mission trips and supported other missionaries. Shortly after becoming a Victory group leader in 2015, Gretchen was given the opportunity to join a Ten Days mission trip to Sri Lanka. 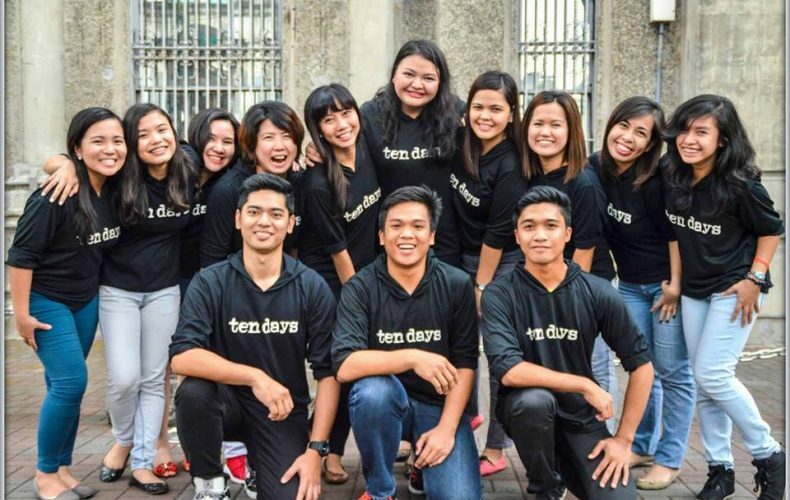 The Ten Days mission program is one our major expressions of world missions in the Philippines. Through this program, selected Victory group leaders are given the chance to serve Every Nation churches in different parts of the world for about two weeks. Reaching other nations through the Ten Days mission trip gave Gretchen a greater desire to go to other nations. She went on two more Ten Days mission trips in 2016. Furthermore, because of her great heart to obey the Great Commission, Gretchen is now on board at Every Nation Philippines as a staff member of the Missions department, where she helps train and send cross-cultural missionaries to every nation. We are called by God to participate in His work in the nations. Those who pray, give, and go are equally valuable in His kingdom. How about you? How is God calling you to be involved in reaching the nations today? Know more about our heart for world missions this Sunday as we go through the last week of our All Access series. To give to our Missions efforts, click here. University students from Papua New Guinea started a widespread boycott of their classes last May in protest at Prime Minister Peter O’Neill’s handling of corruption allegations. The University of Papua New Guinea’s Waigani campus is considered the epicentre of the protest. The government and the university administration have been urging students to return to class to salvage the remaining months in the school year but the students demand one thing: the Prime Minister’s resignation. Earlier this month, police opened fire on student protesters marching at an anti-corruption rally in their campus, which injured 17 people and sparked riots in the capital Port Moresby. There are conflicting reports of the number of injured, with an opposition member reportedly claiming that four people were killed. More violence stemmed from this incident, while looting and rioting have been reported in several parts of Papua New Guinea since the unrest began. The students, who now harbor tremendous distrust towards authorities, demand for the university administration to apologise and guarantee their safety before they relent to go back to campus. After seven weeks of boycott, many students reportedly want to resume classes, but they are not confident they will be safe. The unrest has exposed deeper problems of Papua New Guinea. Today, there are hopes that there will be reconciliation between the students and leading university officials. Let us continue to intercede for our Every Nation church, missionaries and local contacts in this culturally diverse nation. It is truly a test of faith, boldness, and obedience for our incoming missionaries as they prepare to preach the gospel in this country despite the dangers they may face. We are in faith that God is sovereign in Papua New Guinea and that miracles and transformed lives will continue to unfold. Sayeed with his father and the parents of Ateef and Masheer, with Pastor Kevin. Ateef and his brother Masheer attend an Every Nation church in a creative access nation in South Asia. Both students in a prominent university here, they were connected to our church by their uncle Sayeed, who was, in turn, discipled by Kevin, one of our cross-cultural missionaries. Despite the challenges faced by the church–daily blackouts and soaring heat are frequent problems here–the church community is tightly bonded and supportive of its members’ situations. As a result, members like Ateef and Masheer do not hesitate to give of their time and resources; both brothers volunteer for the church’s technical support and ushering teams. The entire church joined Ateef, Masheer, and Sayeed, in praying for the brothers’ parents to join them at a Sunday worship service. They prayed daily for a month and a half, which was the duration of time that the two brothers went through ONE 2 ONE. As the two brothers completed the booklet, God prepared a special surprise for them. Ateef and Masheer, with Pastor Kevin. Sayeed, the young professional who invited his nephews to church, was equally excited. “Even my father joined one of our worship services,” he says. “We are so blessed and encouraged to see how God moves and works on our behalf.” Sayeed is so passionate about seeing more of his countrymen get saved that he has decided to attend the Every Nation School of World Missions in Manila in 2017, much to the delight of Pastor Kevin. Our church in this creative access nation is believing God for a new meeting facility. Because our worship services are being held in the house of one of our missionaries, they arouse the curiosity and suspicion of neighbors and local authorities, who are curious as to why so many people come and go into the house every week. Please join us in prayer for divine protection for our work, favor from the neighbors, and provision for our church. If you would like to support our ministry here with a one-time gift or monthly gifts so we can secure a new meeting facility, please click here. 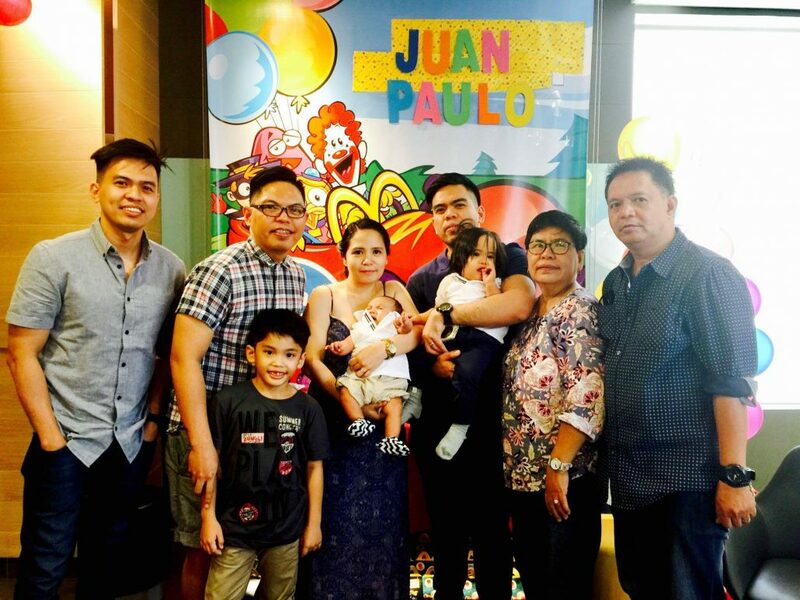 In July 2012, Rolando Sulit, a former radio jock more popularly known as Joe d’ Mango, and his entire family responded to an altar call in Victory Greenhills and surrendered their lives to Christ. 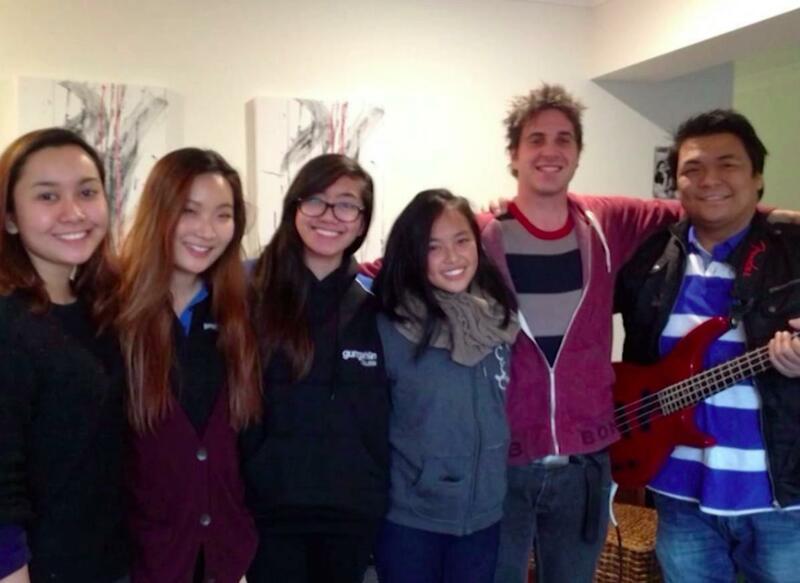 They went through ONE 2 ONE, and then, eight months after their Victory Weekend, received an email from the Australian Department of Immigration granting them permanent visas for Canberra. They were given three months to prepare for their big move. Big may be an understatement, because Canberra is located in Australia, which is literally an ocean away from Manila. It would take eleven hours of air travel to get there. Apart from the distance, the transition would affect every aspect of their life. 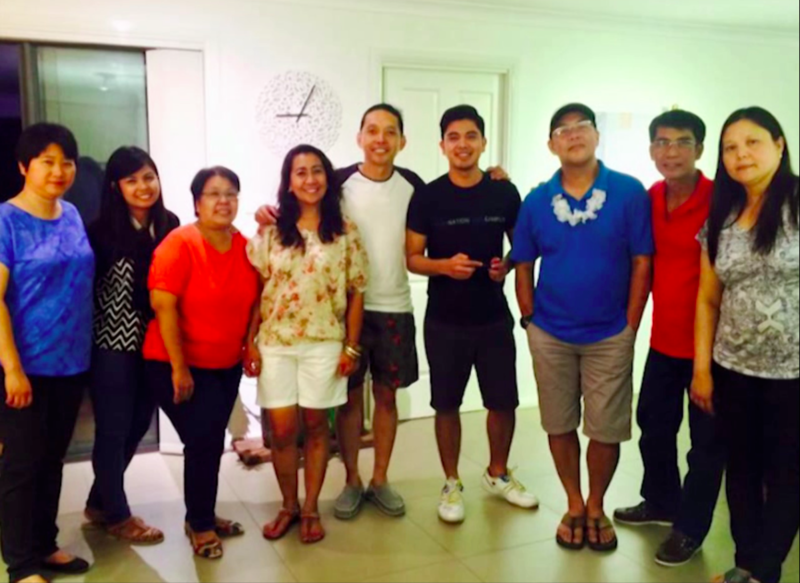 The Sulits prepared to leave their home, their jobs, their loved ones, and their new church family in Victory Greenhills. They were sent off with prayers and well wishes, and the family started their new life in a country unknown to them. The family knew that it was not just for them to enjoy, but for them to share with other people. 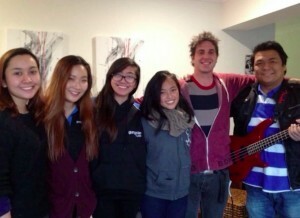 They decided that their home would be used to honor God and live out the Great Commission to make disciples. 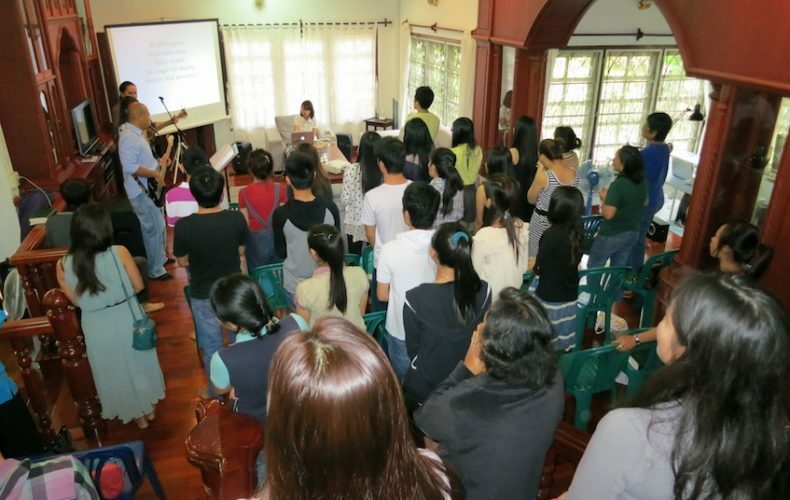 They then started to hold Victory group meetings with Filipinos and Australians in their home, even extending the invitation to young adults and children. Soon, they had to schedule different meetings in different parts of the house because they could no longer fit. More and more people started experiencing God’s blessing through their generosity and hospitality. The family would take time out to intentionally do ONE 2 ONE to everyone who has opened their hearts and are hungry for the truth. Last 2014, they held their first water baptism right on their backyard with Victory Greenhills senior pastor Dennis Sy officiating. 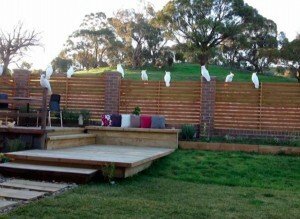 They’re looking forward to another water baptism this year when Pastor Dennis visits Canberra again. Sometimes, the Sulits would get visitors from all over the world. Their friends and family from different Victory and Every Nation locations would visit them and generously offer their time and talent to minister to their community. 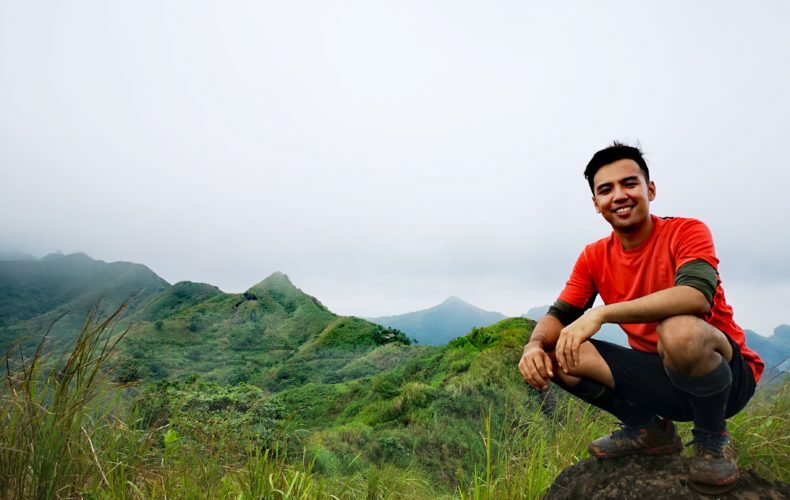 This year, Rolando, along with his wife Bing, went back to Manila for four months to study at the School of World Missions with the purpose of equipping himself better as they continue to preach the gospel in Canberra. Having developed a heart and burden for their new hometown, the couple bravely left their daughters and entrusted their Victory groups to the leaders they’ve been discipling. 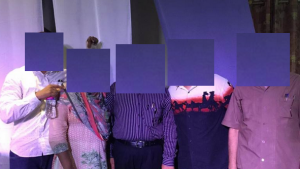 We’re excited to bring you the stories of three people who have encountered Christ in their nation–a country in South Asia with a population that is mostly Hindu. The lives of these disciples show the transforming power of the gospel, no matter the language, the culture or the race. Sintha used to battle depression, and often felt lonely and aimless. She felt the need to perform to gain other people’s approval. One day, she heard the gospel through our missionaries, and realized that her deepest desires to be selfless and please other people comes from a place that is still self-serving. “I came to the decision to follow Jesus after realizing my need for Him,” she shares. Sintha discovered that it is only through Him that she can have true hope and joy, not through her deeds or actions. Now, she wakes up everyday with a sense of purpose, knowing fully well that there is no other way but Jesus. Theeba was dealing with unbelief and some trust issues when she experienced a miracle in her life. It was not a flashy showcase of power but an intimate revelation of God’s sovereignty in her life. She heard the voice of God telling her to get to know Him first before she turns her back on Christianity. One day she needed a ride to a prayer meeting, but couldn’t get one because all the public vehicles were full. Theeba became desperate and she started questioning God’s lack of provision. A while late, a bus going to the opposite direction broke down a few meters from where she stood waiting. All the passengers had to get off and the bus had to turn around, allowing Theeba to ride the bus all to herself, and to the destination she’s headed. This small miraculous incident completely overwhelmed her with the knowledge that God loves her. “As I got to know more about Jesus, I began to feel His presence and workings in my life,” she says. 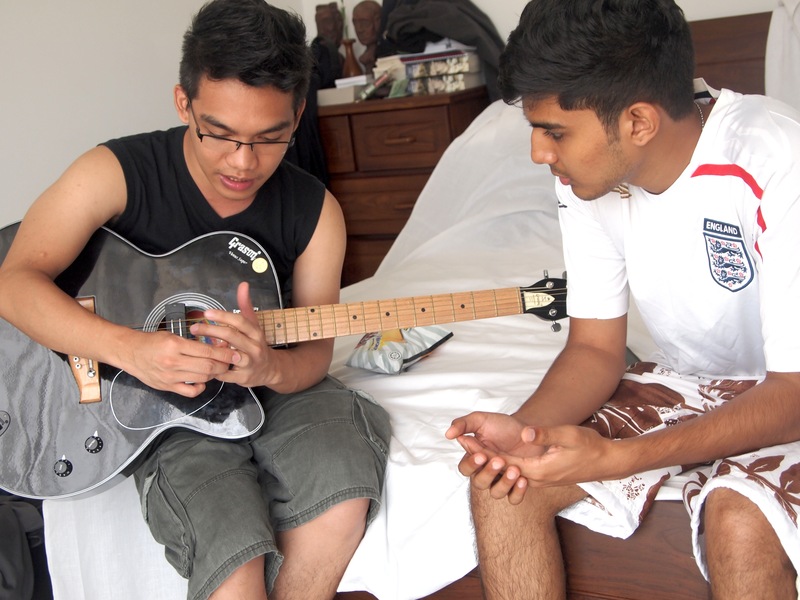 As more locals are reached out in this South Asian nation, let us pray for more disciples to be raised up as leaders. These changed lives are testaments to the work that God is doing in the nations. 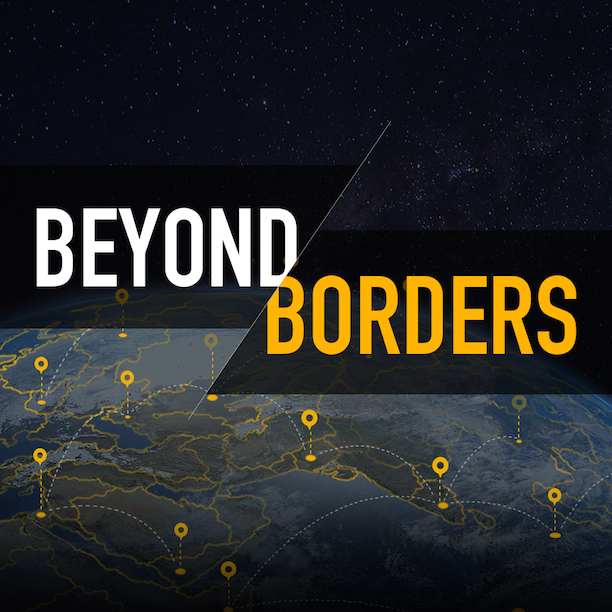 As this restricted nation continues to open up to the gospel, let us continue to hold the ropes for our missionaries and pray for their safety, provision and protection. 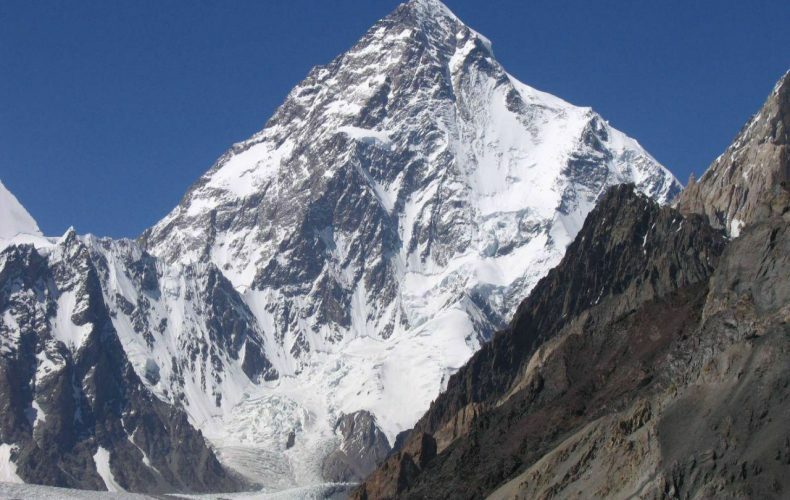 * The image in this article features K2, also known as Mount Godwin-Austen, and Chhogori Balti, the second highest mountain in the world, after Mount Everest, but K2 is not found in the nation mentioned in this article. For security reasons, we have changed the names of the locals in this article. If you would like to contribute to our efforts to bring the gospel to creative access nations like this one, please click here. Discipleship is relationship! In this missions story, a young girl in Cambodia demonstrates God’s love to her physically-handicapped best friend. What can you do in Just Ten Days? 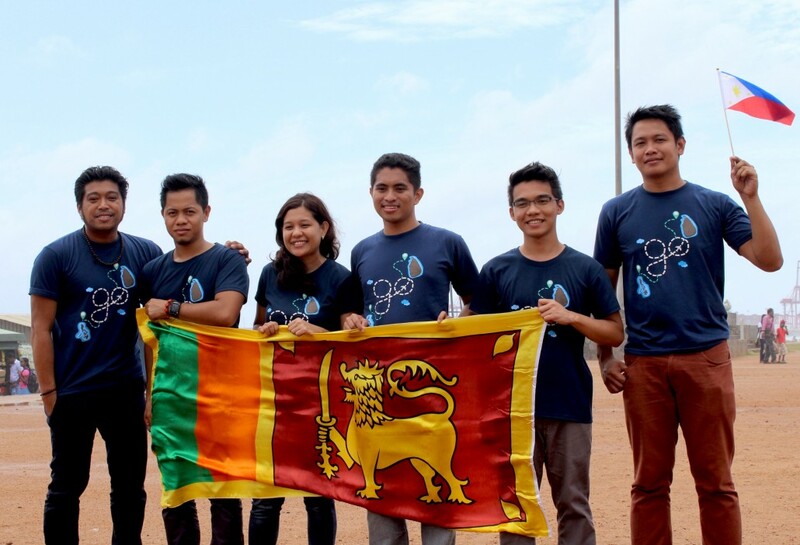 A team of Ten Days missioners from Victory Ortigas were the first to set foot in Sri Lanka. Read their testimony here! We were posed with the challenge, “What can you do in just Ten Days?,” when we joined a short-term mission trip to Sri Lanka from May to June 2014. The question, however, is not what ordinary men and women like us could do. It was about what God could do through us. With that, the possibilities are endless! 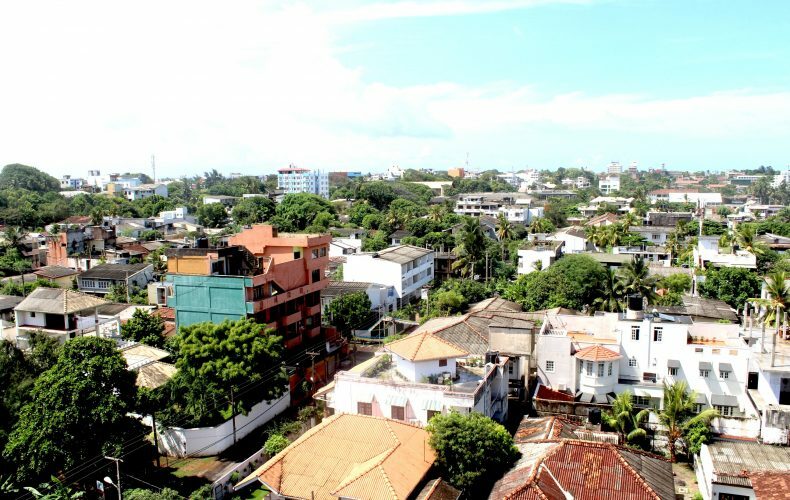 Sri Lanka is a country with a people largely unexposed to the gospel of Jesus Christ. 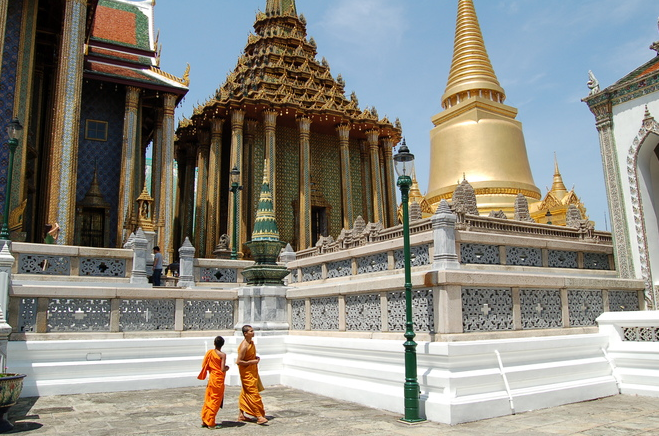 Less than two percent of its population are Christians, while about 70 percent are Buddhists. Bringing the good news to this mission field was truly a life-changing privilege. Each of us in the team were challenged to reach out and share our faith to everyone we met, in every way we can. 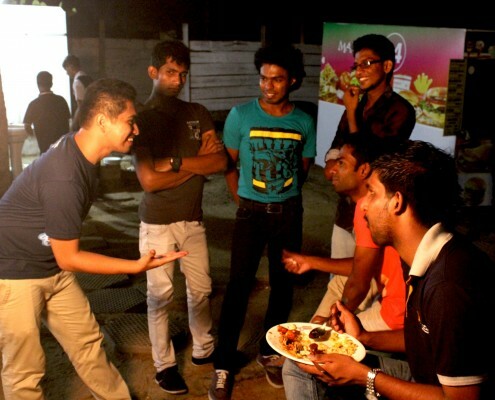 We boldly approached students and other locals in the streets of Colombo, the capital of Sri Lanka. We shared our testimonies, trained local church leaders in discipleship and evangelism, supported English-speaking classes, and prayed for Sri Lanka and its leaders. It is overwhelming to see the results of God’s work even beyond the ten days we spent there. 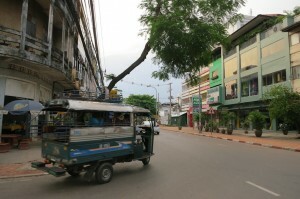 We were able to connect locals to the church, and six Buddhists received Jesus as their Lord and Savior. We also helped jumpstart a small group. One of the students started doing ONE 2 ONE discipleship with our Sri Lanka missionaries. By God’s grace, Every Nation Sri Lanka will be launched by January 2015! 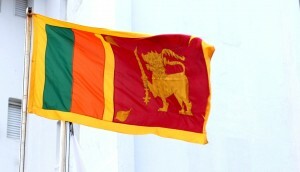 Your prayers and support have made a tremendous impact in the nation of Sri Lanka. Istoothi (thank you) from the bottom of our hearts! 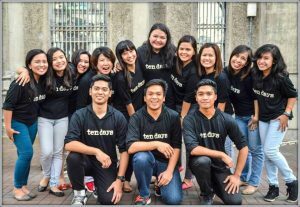 A Ten Days mission team from Victory Malate was sent to Bangkok, Thailand in May 2012. For them, it was “a journey of knowing God deeper.” Know why by checking out our article here! Our trip to Bangkok couldn’t have come at a more crucial time. 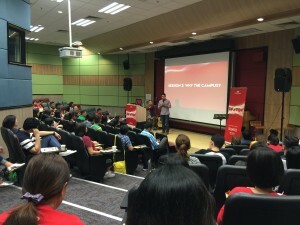 By the time we arrived, Every Nation Church Bangkok was going through a leadership transition. The church was first started by a team of Filipino missionaries, trained at the Every Nation Building in Bonifacio Global City. Now, this thriving church was going to be handed over to local leaders who we believe would be instrumental in making disciples among the Thai people. 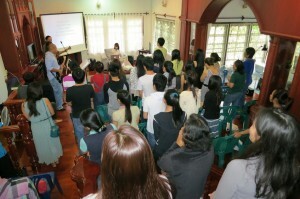 When we arrived, our Every Nation church in Thailand was having a two-day camp. This event helped strengthen them, as our church members and leaders were reminded of the importance of spiritual family. Our team facilitated some of the activities, and we were able to build relationships with the local leaders. 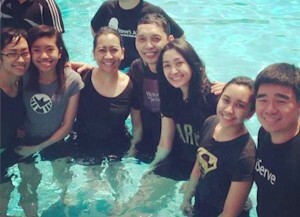 The camp culminated with the water baptism of five new disciples in the church. One of them was a young student who almost became a Buddhist monk. Campers from our Every Nation Church Bangkok are excited for what’s next. 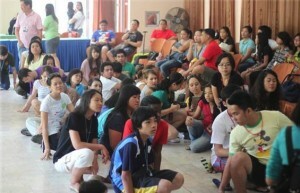 The camp helped leverage our relationships with the church members. 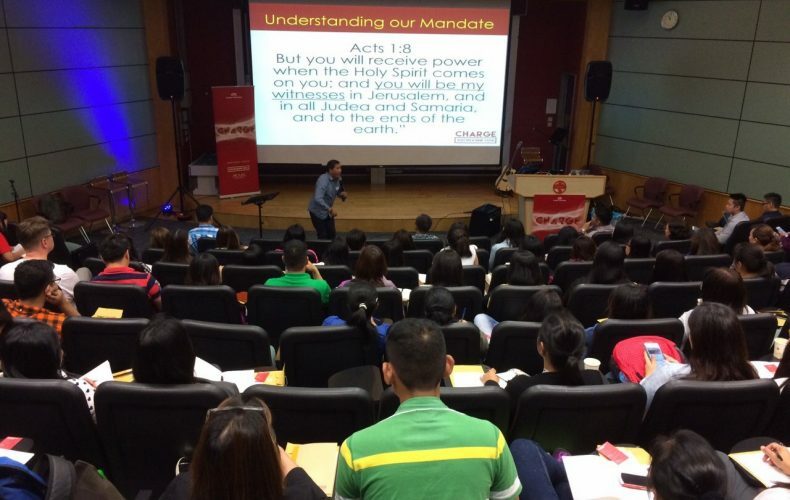 We spent time soon after equipping and encouraging our Every Nation Church Bangkok leaders. We also held a youth event, where we talked about love and relationships to the students. Of course, our time in Bangkok would not be complete without going to the campuses. We got to spend time and talk to some students from Ramkamhaeng University, the largest open university in Thailand. Ken, a communications student, was one of the students we interacted with. She received the gospel well and is now connected with our church members in Every Nation Church Bangkok. We’ve seen how God has been sovereign in our short time as a missions team to Bangkok—and this is a privilege for all of us. Thank you for your support and prayers! 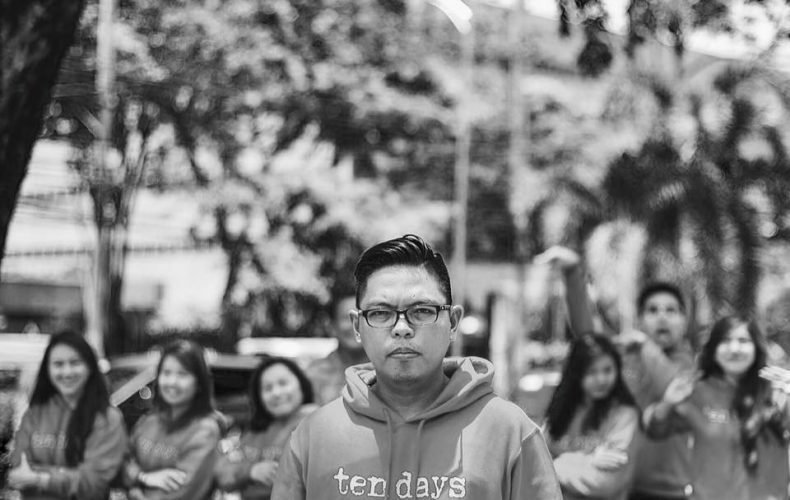 The Ten Days program gives Victory group leaders the opportunity to experience cross-cultural missions first-hand by engaging local contacts, encouraging the local team, and equipping the local leaders of Every Nation Asia churches. If you are a Victory group leader and would like to be part of a Ten Days mission trip, please contact your local church missions coordinator. Ten Days leaders are trained for the Ten Days experience using materials developed at our leadership development facility at the Every Nation Building. We are currently building a second facility, the Every Nation Building Phase 2, which will serve as our leadership development facility upon completion. For more information on the Every Nation Building Phase 2, please visit everynationbuilding.ph. In Laos, 92% of its locals have not been reached by the gospel. Since it is a creative access nation, our missionaries have exercised extra care for our activities to continue in spite of restrictions. Our team in Laos began hosting the locals—mostly students from different universities—through holding small groups and worship services in the missionaries’ living room. As more and more Laotians were reached by the gospel, the missionaries grew concerned about their safety. 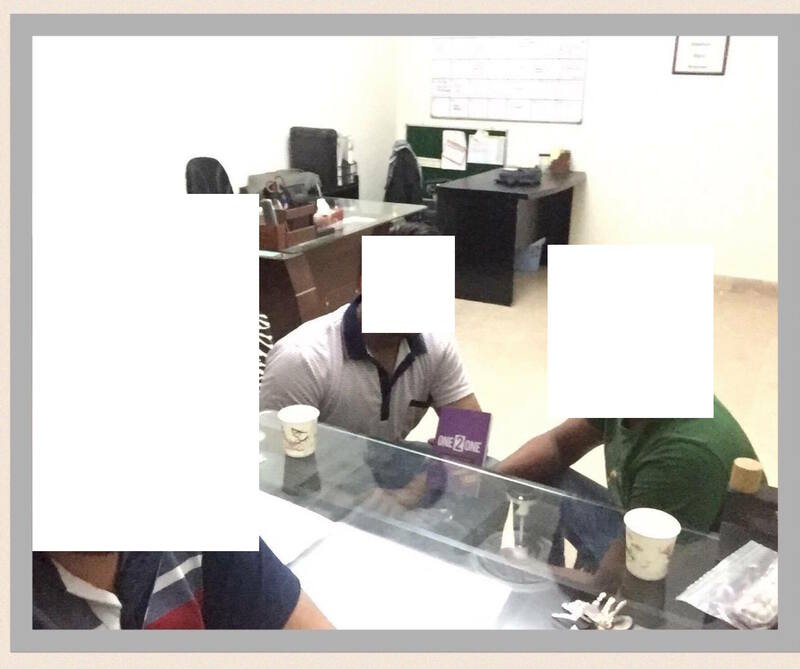 They did not want to risk making their neighbors suspicious because of the number of students coming in and out of their house daily. Our missions work in Laos started by holding services in living rooms like these. Our missionaries had to find an alternative to meeting the students and sharing the Word with them without compromising their security. Then they thought of putting up their own restaurant and cafe. With bold faith, the church started praying for provision—and in less than a week, God made a way. They rented a three-storey unit in a building, developed and registered it as a restaurant-cafe. While serving food and drinks to locals, it would also double as a hub for ministry activities for the local disciples. We are in faith for open doors and more leaders to be trained! Now, the restaurant also serves as a strategic platform for the ministry! It serves as a hangout place for students—as well as a venue for outreach activities, worship services, Victory Weekends, and discipleship trainings. We are in faith that this year, aside from more students to be reached by the gospel, more Laotians will rise up as leaders and reach their families, classmates, and friends! Please pray that more leaders are raised to make disciples, and for more weekly worship services. As each of us steps out in faith to pray, give, and go, more nations like Laos are reached by the gospel! Thank you for standing with us!